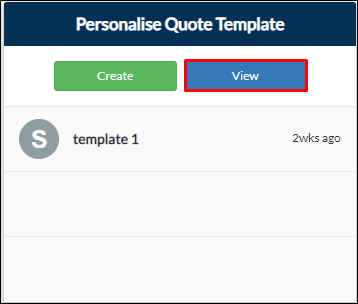 Personalise Quote Template is the template used for Quote Form and Quote Journey form. Users can modify the display of their template by using this form. From your project page, go to Pre-Construction tab > View on Personalise Quote Template tile. From your navigation bar, go to Pre-Construction Phase > Quote > Personalise Quote Template. Or type in 'Personalise Quote Template on the search bar located on the upper right corner of your portal. 2. You will be directed to the Personalise Quote Template form. 3. Click Update to the record you want to modify abd make sure the toggle button is ticked whether a field will be shown or hidden.